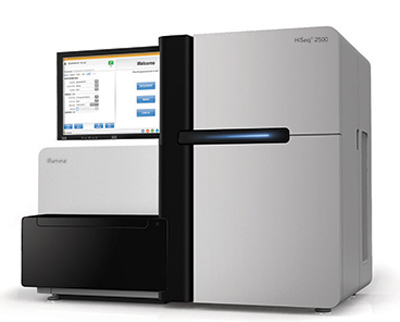 Illumina entered three separate deals with three European labs under which they will use Illumina's consumables and the HiSeq 2500 to develop and perform noninvasive prenatal testing (NIPT) in their respective nations. French lab-testing service firm Biomnis will make NIPT available in France, Italian molecular genetics lab Genoma will perform NIPT services in Italy, and the Center for Human Genetics and Laboratory Diagnostics Martinsried (near Munich) will offer NIPT in Germany. Earlier this year at the JP Morgan 32nd Annual Healthcare Conference, Illumina said it planned to expand its offerings based on the verifi® laboratory-developed NIPT, which the firm picked up upon acquiring noninvasive prenatal testing firm Verinata Health last year. Tristan Orpin, Illumina's svp and general manager of reproductive and genetic health, said in a statement that he feels these three agreements will help establish the firm as a global leader in reproductive and genetic health solutions and a partner for next-generation sequencing-based testing for clinical applications. Francesco Fiorentino, Ph.D., CEO and director of Genoma Group Laboratories, said that the Italian lab chose to work with Illumina because of its deep sequencing capabilities. “We are continuously trying to improve our service and offerings for patients and healthcare providers, and we believe our physician customers and the expectant families they work with will be thrilled to have access to this important information in an accurate, safe, and efficient manner,” he added. “Backed by whole-genome sequencing, we look forward to making our highly accurate test accessible to physicians and their patients,” commented Charles Woler, M.D., Ph.D., CEO of Biomnis Laboratories.